Point the camera at a special flash card and watch the animated baby spring to life to show you how to sign! 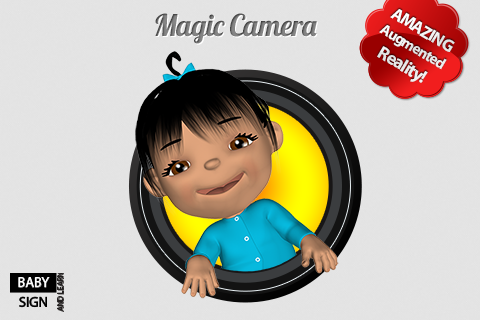 Download the magic camera and hold it in front of the special Baby Sign and Learn Flash Cards to experience baby signing in magical augmented reality for the very first time. 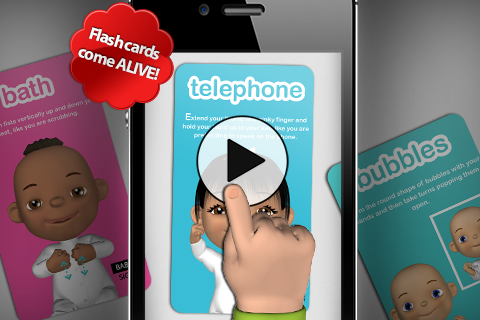 If you don't already own the Baby Sign and Learn Flash Cards, simply print the sample poster to experience the app for free. Amaze your children and be the first to share the fun with friends! NOTE: This app works best with the newest Apple devices, such as iPhone 4S, iPhone 5, new iPads and iPods. Could be a bit slow on iPhone 4. Click to find out more about the special Baby Sign and Learn Flash Cards.